The Arioso G and C have now been joined by the Arioso A and D to complete the Magnacore ® Arioso set. Experience a new freedom of expression without a compromise in power. Well suited to both older Italian as well as modern instruments. For the gourmet musician experimenting with new combinations of sound texture and colour: Free your voice: Created to Sing with a Subtle Power. The Arioso C and G partnership offers new possibilities to find your voice with your particular instrument combined with your ideal match with the new Arioso A and D or from the full menu of Larsen A and D for cello: Original, Soloist and specifically Magnacore ® in medium or strong tension. The Magnacore ® Arioso C and G deliver a lower tension without compromising sound volume. Liberating your overall sound and providing easy response and effortless playing in the lower register. 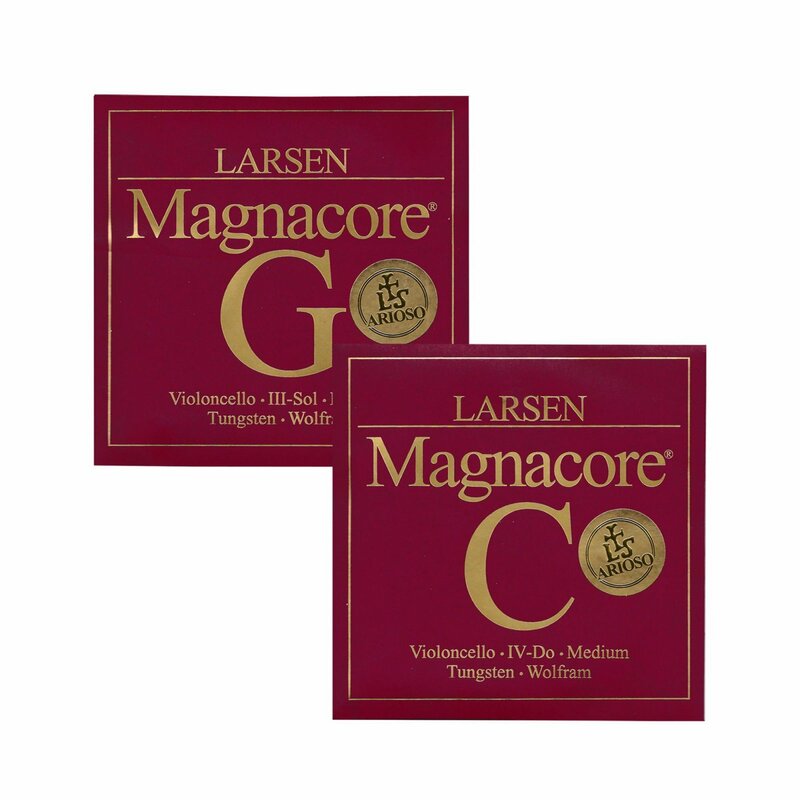 The Magnacore ® Arioso G and C strings are made on a concentric multi-stranded steel core and wound with high-grade tungsten and precision rolled flat wire. The New Magnacore® Arioso A and D have been purpose designed for the professional cellist. True freedom of expression with an almost singing quality combined with a focussed colour of tone. Free your voice in 2017 with the complete Magnacore® Arioso set for cello.